As if this story couldn’t get any worse. 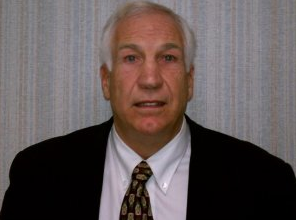 Former Penn State coach, Jerry Sandusky has a new victim coming forward. This is not ont of the eight that have already been been included in the grand jury report. This is a 30-year-old guy, “John Doe” who says that Sandusky abused him at least 100 times between 1992-1996. He was 10-years-old. He will be filing a lawsuit against Sandusky. The fact that Sandusky still claims to be innocent of all of these crimes sickens me. I can’t believe that he is still a free man. Anne Hathaway Is Marrying Adam Shulman, The Rock is HUGE!